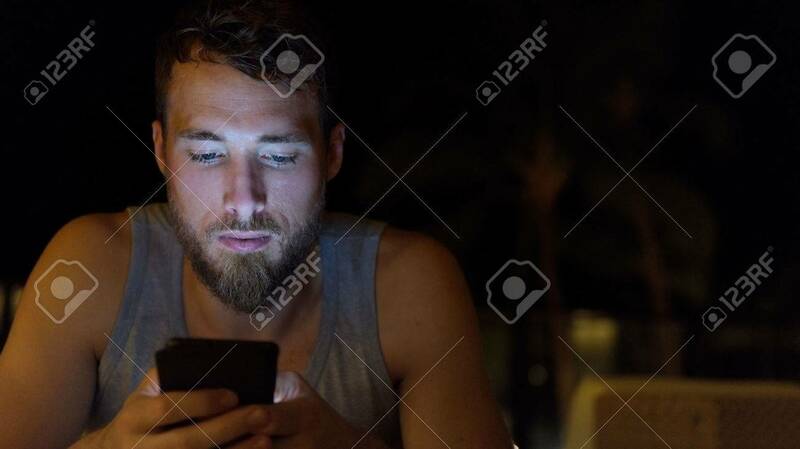 Man Using Smartphone At Night Browsing Internet Updating Social.. Stock Photo, Picture And Royalty Free Image. Image 39648927. Stock Photo - Man using smartphone at night browsing internet updating social media. Young male with beard using mobile cell smart phone outdoors in the dark in summer. Man using smartphone at night browsing internet updating social media. Young male with beard using mobile cell smart phone outdoors in the dark in summer.